A few weeks ago I won a before/after photo contest and won a few fitness and nutrition items. This tank was one of them. Troy told me to flex when he took the photo. :). 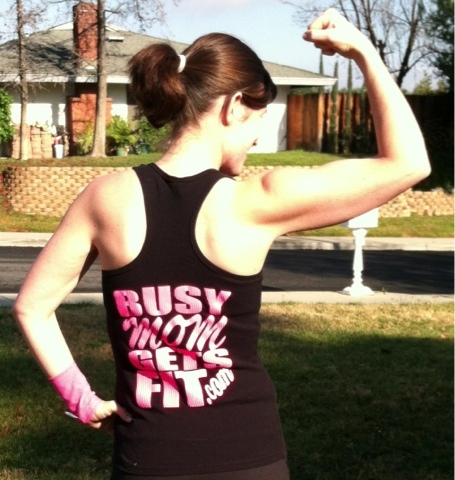 The front of the tank says, "Lifting more than babies and lip gloss."